How do you satiate your love of travelling the world while still making enough money to fund your passion? Here are just a few of the best jobs for people who like to travel. Many require extensive experience and training, but with dedication and hard work you too could make a living while travelling abroad! One of the easiest ways to travel while working is by taking a job that forces you to travel every day! 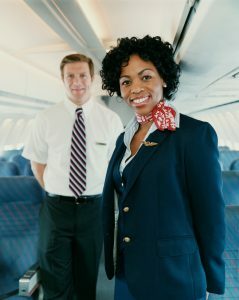 Flight attendants and cruise line workers have the ability to travel anywhere in the world, depending on where their employer operates. Being a flight attendant only requires a high school education, though many airlines prefer applicants have some form of college education. Because of the variety of positions available on a cruise line, including food service, entertainment or water transportation experts, landing a position depends mostly on your skillset. Valuable in both America and abroad, a career as an English teacher for students who speak a different primary language can take you to many countries. With a bachelor’s degree, ESL training and licensure in the country of your choice, you could be teaching students how to speak your native language as a career. Many Asian countries have a particularly high demand for English-speaking instructors at all levels of education. Although it would likely be less lucrative than other options, working for the United States Peace Corps would allow you to provide aid and technical assistance to people worldwide. Volunteers are wanted in a number of fields, including education, agriculture, community development and health services, accommodating applicants with a variety of skill sets. Some positions have language requirements, while others even allow couples to apply together. If you have the skills for it, you could make money writing about your travels as you move from country to country. By working for a professional travel magazine or other organization your trips will likely be covered, at least partially, by your employer. Freelance work requires significant start-up funds, as you’ll be forced to pay for all of your travel costs while you work to sell your content to interested websites or editorials. Working as a diplomat or foreign aid for the United States government would allow you to experience life in many different parts of the world. Most positions require extensive experience with at least one additional language, as well as a university degree in a relevant field of study. If you’re able to land the position you have the opportunity to travel to more than 250 embassies around the world. No matter where you’re travelling or what you’re travelling for, you want your airline experience to be as easy and stress-free as possible. FreedomPark Airport Valet Services at D/FW offers curbside valet parking, as well as a number of other vehicle services, to save you time and money while you travel. Leave your car with FreedomPark and focus on exploring everything the world has to offer. Contact us today for more information.